Nice dolphin antique sculpture as water spout. A large variety os sculptures of this style are placed in Rome around large Fountains' copings and in the little lake of Villa D'Este. 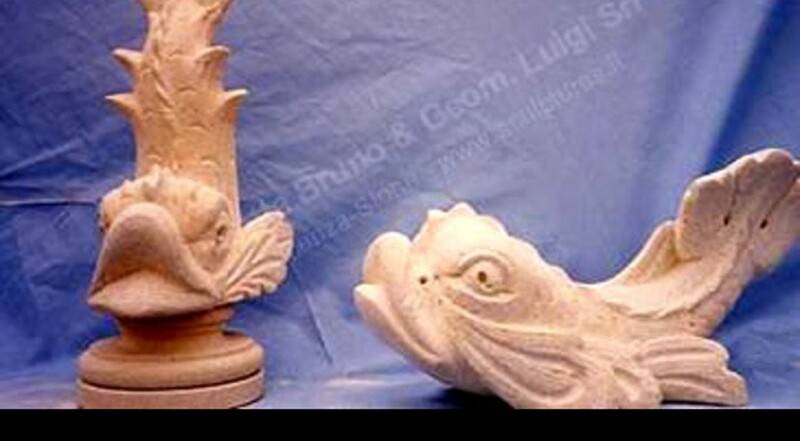 In the past they were used in a lot of different fountains and placed also in the private gardens.